Are you looking for flooring materials? What about if you try marble flooring as your best choice? Do you know how to choose the best flooring material for your house? Well, this is the right place for you. The good news is that any information you need to know about marble flooring is explained in this article. Marble is likely to be one of the most desirable flooring options to use in a well-designed bathroom or kitchen area. It is a naturally sourced material which is harvested from a mountain in large slabs, which are refined into mosaics, slabs, and tiles. Marble is seeing a significant resurgence and commonly used in a variety of home remodeling projects. So, if you are interested in marble flooring, there are pros and cons on marble flooring. Remember, each flooring material has its strength and weakness too. A significant quality of the marble slabs and tiles is the almost endless choice of colors. 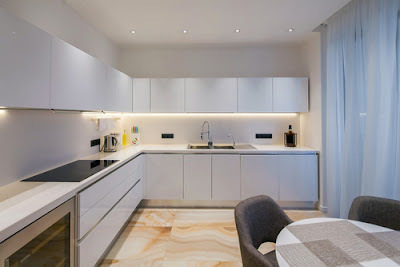 It doesn't matter if you're looking for the plain, single color tiles or the multicolored tiles with a choice of different hues, you will certainly appreciate the wide range of choices that are available with marble flooring. And since this flooring is entirely natural, you will find that each of the individual tiles will vary slightly, which means you can create flooring that is certain to a lot more unique in appearance. 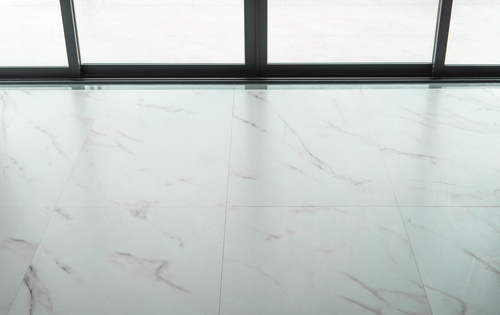 A further quality of the marble floor tiles is that it is possible to create a high-quality polish, which isn't likely to be noticed elsewhere with certain other stone floor materials. Marble can offer a surface that is highly shiny and smooth. A quality aspect of polishing the marble tiles is that it can make the colors more dramatic and noticeable. Marble is an entirely natural material which can be easily sourced from the mountains, and therefore more biodegradable and eco-friendly. Also, it isn't likely to result in any pollution if disposed of after its usable service has expired. 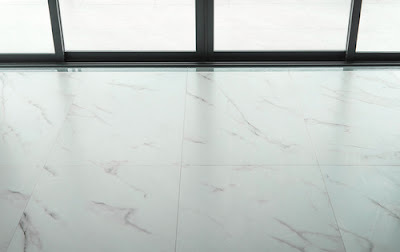 A major downside of the marble flooring is likely to relate to the cost since it is certain to be among the most high-priced flooring materials available in the marketplace. A standardly sized tile (12 by 12 inch) might cost in the region of $5 to $10 per square feet. But, if you're looking at the nonstandard or larger tiles you will be paying a lot more. A highly polished marble floor is quite easy to mark with scratches, so over the long-term, you will start to find that flooring starts to get quite marred by constant use. A marked marble floor can be repaired to eliminate signs of any marks or scratches, but this is likely to be a quite difficult process and will likely require the help of the professionals in the trade. If you are planning to improve the look on your floor, you need to keep in mind the following factors before you choose the flooring material of your choice. The flooring material you choose should complement the interior surroundings of your home. For instance, the color of your flooring should go along with the color of the wall, ceiling, and other equipment that you place in the home, such as tables, chairs, sofas and more. In other words, the flooring you choose should contrast the wall colors or the color of the equipment that you place in your home. Are there places in your home that receive heavy foot traffic? Of course yes. Such places include; hallways, kitchens, entryways etc. Therefore, you need to choose a strong marble material for your floor in such areas. For the other areas that receive less foot traffic, you can choose a less rugged grade material. The comfort that your flooring should provide to you is another important factor. If you feel comfortable with soft backing for your foot, then go for materials such as rubber, and you don't want ceramic tile or masonry flooring materials which are hard underfoot. The best alternative for soft flooring is carpeting which can be laid on any flooring surface. If you object to your flooring making noise while you walk then you have to go in for softer materials like rubber instead of hard surface materials like wood or masonry flooring. But if you carpet these floors, then even they don't produce any noise. The choice is yours. The flooring doesn't get slippery when damp or wet in areas like kitchens and bathrooms. It is better that the rugs in these areas have safety paddings and nonskid backings. Do not choose slippery materials for the staircase. Rough materials with a rough texture on the surface are better for areas such as staircases. The cost depends on the quality of the material that you choose. If you want high quality or a better quality material you have to spend a little amount of money even if it proves to be a little costly. No doubt there are many do-it-yourselfers available for almost all types of flooring. But if you want an elegant and impressive look, you better hire a professional. Now, the most important of all the things is maintenance. Your job is not over by just installing the flooring materials. You have to take proper care of it and maintain it so that it lasts for many years. 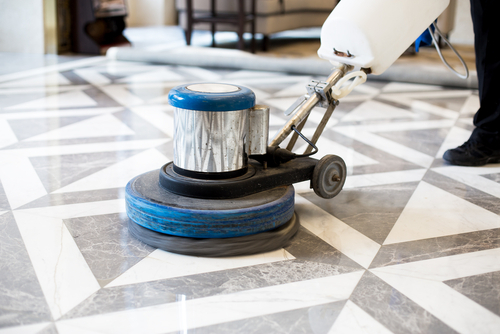 You have to follow some simple ways to maintain your marble flooring for many years. You have to vacuum your flooring and sweep it daily no matter what type of flooring you have. These simple steps help you to maintain your flooring for many years. If there are any damages to your marble flooring, see your flooring dealer immediately. Do not try to replace the damaged pieces all by yourself. It is always better to hire a professional for such jobs. Follow these steps and see the difference.